Brethren in Christ, let us ponder on the above context; believers are not to be mindful of pleasures of this world; to love pleasures of this world means, the love of the Father is not in us; for the world is full of material possessions, and pride of life; and that is not of the Father: the world and its lustful desires will pass away: but if we do the will of God, we will inherit life everlasting. Case in point, we are in the shopping and giving season; we all need to bless our love ones with gifts from our various hearts; the will of the Father, is for us to give onto others, to receive blessing from him: regardless, let us do our shopping s wisely, and not over do them with monies borrowed from Credit Card companies: I call them "Valleys of Shadow of Debts"; it is not the will of the Father for us to incur debts after giving to one another: but the will of the Father is for us not to owe anyone anything but only to show love. (Romans 13:8) Owe no man any thing, but to love one another: for he that loveth another hath fulfilled the law. Brethren, let us not allow the evil one to lead us into "Valleys of Shadow of Debts": if we use the cards; let us beware of what we are doing , and do it wisely: also let us give willingly within the will of God and not grudgingly or with sorrow, for God loves a cheerful giver. Brethren in Christ, where are our love today? with the Father? or in things of the world: what will happen, when the shopping season passes away and we are deeper in the "Valleys of Shadow of Debts"; brethren, let us think about this, and rebuke lust of the eyes: the attack of the enemy upon our lives when shopping for gifts. Jesus, will deliver our souls from the "Valleys of Shadow of Debts; and we will inherit life everlasting. Amen and Amen! (20) But in a great house there are not only vessels of gold and of silver, but also of wood and of earth; and some to honor, and some to dishonor. (21) If a man therefore purge himself from these, he shall be a vessel unto honor, sanctified, and meet for the master's use, and prepared unto every good work. Brethren in Christ, Apostle Paul, encourages us to believe in the truth and faithfulness of God, and not be overthrown; but having the security: the Lord knows those who belongs to him; therefore, let everyone that call on the name of Christ turn aside from wickedness. Case in point, Apostle Paul, speaks about vessels in the house of God; he categorises them as of gold and of silver; also of wood and of earth; some to honor, and some to dishonor. My point of view is, we all have china wares for various special occasions in our houses; some china wares for Thanksgiving, Christmas, and Easter celebrations: others for when our neighbors come to dine with us: we will not use everyday dinner plates for special occasions; but special china wares set aside for that very occasion. 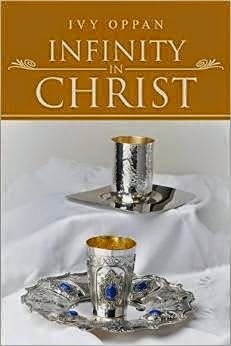 In the house of God, there are also vessels set aside for the Lord's use; some of these vessels are more valuable them others depending on how we purge ourselves for his use: therefore, if a man wishes to be a noble vessel in a church of God; let him purge himself of earthly lusts, and seek after holiness. (Ephesians 4:24) That ye put off concerning the former conversation the old man, which is corrupt according to the deceitful lusts: (23) And be renewed in the spirit of your mind; (24) And that ye put on the new man, which after God is created in righteousness and true holiness. Brethren in Christ, what types of vessels are we today? ; are we fit for the master's use? If not, let us purge ourselves from all lusts of the flesh. What do we need to do to be honorable vessels? Let us read through (Ephesians Chapter 4); that will lead us to what is expected of us to cleanse our vessels: and to be wealthy for the Master's use in our churches. Brethren, there is still time for us to change from our wicked ways; and be honorable vessels in the house of God: in Jesus Name! Amen and Amen! (5) Who shall give account to him that is ready to judge the quick and the dead. Brethren in Christ, in this context, Apostle Peter, speaks of the sufferings of Christ; to encourage us to arm ourselves with the same mindset: which will be the armor of proof against all enemies; that he that will suffer in flesh and will be made whole from inside out as Christ was; will be delivered from all sins: and will no longer live in flesh, but to the will of God. Case in point, believers in Christ, are liberated by the blood of Jesus through baptism of the Holy Spirit; or professing Christ as our Lord and Savior: all sins are forgiven through his blood when we receive him; but to remain redeemed by his grace, we need to walk in the will of the Spirit, and resist lusts of the flesh: how? by allowing the Holy Spirit to take control of our mindset daily: we need to pray without ceasing, and read his word everyday: his word is the sword of the Spirit; that will help war against fleshly mindsets, and liberate us from all sins. Brethren, let us abstain from works of the flesh, such as; Ref. (Galatians Chapter 5) adultery, fornication, uncleanness, lasciviousness, idolatry, witchcraft, hatred, variance, jealousies, wrath, strife, destruct ions, heresies, envying s. and murders: but bear the fruit of the Spirit; which is love, joy, peace, long-suffering, gentleness, goodness, faith, meekness, temperance: against such there is no law. (Galatians 5:16-17) This I say then, Walk in the Spirit, and ye shall not fulfill the lust of the flesh. (17) For the flesh lusteth against the Spirit, and the Spirit against the flesh: and these are contrary the one to the other: so that ye cannot do the things that ye would. Brethren in Christ, are we walking in Spirit? if we are, let us bear fruit of the Spirit: Are we resisting the works of the Spirit? if we are, Let us; (Jame 4:7) Submit yourselves therefore to God. Resist the devil and he will flee from you. Jesus will help liberate us from all sins by his blood! Amen and Amen! (2) For men shall be lovers of their own selves, covetous, boasters, proud, blasphemers, disobedient to parents, unthankful, unholy. (3) Without natural affection, truce-breakers, false accusers, incontinent, fierce, despisers of those that are good. (4) Traitors, heady, high-minded, lovers of pleasures more than lovers of God. Brethren in Christ, the above context depicts the attributes of ungodliness: Apostle Paul, warns us to beware of last days perilous times. Let us ponder on these negative attributes, to see if we practice any; if we do, let us turn away from waywardness to Christ, our Lord and Savior: he will deliver us; and use us to proclaim his glory forevermore. Amen and Amen!